Having once been a must-read-the-books-before-watching-the-show purist, I’ve come full circle, watching A Discovery of Witches before I even knew there was a book of the same name to read. Clearly I’d missed the cultural zeitgeist memo, with Deborah Harkness’ All Souls trilogy, of which A Discovery of Witches is the first instalment, being popular enough to warrant being picked up for TV. But with the first A Discovery of Witches season just eight—albeit excellent—episodes long, and a second season only commissioned after the first series went gangbusters and therefore not yet even shooting, there’s frustratingly too little televisual offerings of the tale available. Which is why I am, frankly, grateful for the books. Or, rather, even more so than usual. How close is it to the book? I wondered while watching the show. And what happens after the cliffhanger Season 1 left us on? The short answer is: very close, with the TV show staying incredibly true to the book save for some (I would argue necessary) tightening up of a few plot points to keep the story moving swiftly. The other short answer is: I’m just about to find out. 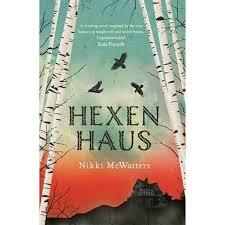 I’m waiting for the second book to arrive, so will be able to report back just as soon as I have it in my hands. 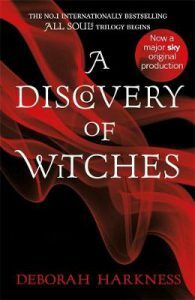 For those uninitiated with A Discovery of Witches—as I was just a few weeks ago—the book introduces us to the complex crossover of the lives and politics of witches, vampires, and daemons. Protagonist Diana Bishop is an orphaned witch turned academic of alchemy who doesn’t operate as a witch. When she unknowingly calls up a long-lost book from the Oxford library stacks—a book that is rumoured to contain answers about the three creatures’ beginnings and potentially endings—she attracts the interest and the ire of witches, vampires, and daemons alike. In particular, she attracts the attention of vampire Matthew De Clairmont, with an attraction between the two of them crossing the traditional bounds of vampire–witch relationships. Cue much tension between the different species surrounding them and the elusive manuscript. Also much banter between all three. A perk of coming to the series so late is that all three books in the trilogy are already available. Which means the only thing getting between me devouring the tale is the fact that I’m waiting for Books 2 and 3 to arrive in the mail. If the prospect of bored minds and restless spirits daunts you, consider these literary excursions for your middle grade and YA readers. Not only are they mind provoking and incisive, they offer experiences for the venturesome reader to revere and ruminate over long after they’ve read the last page. This is a brave story set in Australia in the not-too-distant future with global implications. Peony lives with her sister and aging grandfather on a fruit farm. Her chief aspiration is to be a Bee – the bravest, most nimble of farm workers who flit from tree to tree pollinating flowers by hand. If this concept sounds slightly askew, it’ll be one you are thoroughly comfortable with by the time you’ve experienced MacDibble’s palpably natural, narrative. Could this be the end of the world as we know it or, as I’d rather believe, just another notable chapter in the history of humans being humans – badly. Whatever your take on climate change and the way we treat the planet, How to Bee, never wallows in despair or hindsight and neither does Peony who positively radiates tenacity, kindness and sass so loudly, her voice really will be resounding long after you read the last page. 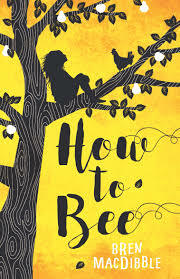 When Peony is taken from her home by a mother who aspires for more than just the meagre country existence the rest of her family and friends endure, her brassy drive and cast-iron determination draw her right back to the home she loves, like a bee to its hive. But not before she spreads a little hope and good sense in the big scary city. This story will make you grin, cheer, cry just a bit and want to fly with Peony as she Bees. It’s about being true to yourself, to those who love you, about living your dreams wildly and the profound power of friendship. It could also quite possibly change your whole outlook of and appreciation for fruit. More highly recommended than an apple a day for middle grade readers from eight upwards. That instantaneous feeling of satisfaction and inability to stop reading that occurs when breezing over the first few pages of a new book is often a sign of good things to come. Kids are even more decisive, deducing from line one, what is going to work for them and what is not. That’s why the Little Rocket Series excels from the get go. 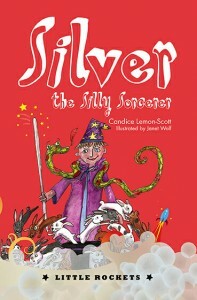 With edgy compelling reads like Candice Lemon-Scott’s latest release, Silver the Silly Sorcerer. Just when you thought you’d read all there was to read about wizardry and witchcraft and applauded the 700th Harry Potter look-a-like off the Book Week Parade stage, along comes Silver; struggling child sorcerer who simply seeks to be as sensational a sorcerer as his idol, Merlin. Sadly Silver is less than spectacular as sorcerers go. He continuously fudges his spells and lives in the shadow of his much brighter sister, Star. After failing his Eggs test, Silver is sent to work as a magician with a travelling circus. Circus life is harder and more humiliating than Silver ever anticipated. He yearns for home and dreads having to perform magic for the has-been, hard to please Ringmaster. Without the companionship and street smarts of his slick talking pet snake, Slither, Silver’s circus days would be even bleaker than the busted lights of the main-ring. Miraculously, his clumsy magical failures become the talk of the Big Top. Silver’s silly tricks and slip ups transform him into the star of the circus until he realises he has to truly master the art of transformation and magic if he is to rescue his teacher, escape the circus and rise to Tadpole level. Will he and Slither endure the extremes of showbiz? 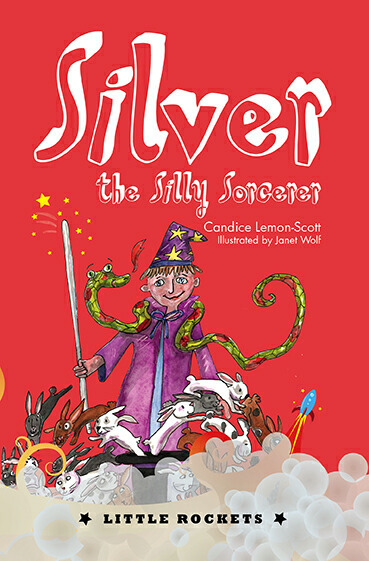 Humming with hysterical originality and Lemon-Scott’s hilarious imaginative wordplay, Silver the Silly Sorcerer is a sure fire bet to impress readers 7 years and above plus anyone who is thrilled by bunnies bursting from magic hats like I am. Short, captivating chapters are teeming with Janet Wolf’s full colour illustrations, so vibrant, you can almost smell the popcorn and sawdust. Top marks! Q When did you first discover the urge to write for children? What motivates you to continue writing? I lived in Sydney for a short while. When I first moved I didn’t know anyone (besides my husband) and I had yet to find a job. It was at that time that a children’s story idea just popped into my head one day and I started to spend a couple of hours each day writing it until I found work. It wasn’t anywhere near publishable but it inspired me to keep writing. Finding the motivation to write is easy – I love writing and it’s the best feeling to create an imaginary world where anything you want to happen does. Q You’ve written a number of chapter books for children and this is your second title in the Little Rocket Series. What appeals to you most about this series of books? What makes them special? I really love the Little Rockets Series because they’re perfect for kids starting to learn to read independently. They have beautiful brightly coloured illustrations which makes them a fantastic transition from picture book to chapter book. I also love the style of the series because it suits the type of story I like to write – action-packed and humorous and written for the 7 plus age group. There are also some fun things attached like the book-based activities on the Little Rockets website. Q I am a sucker for magic tricks. How did you conjure up the idea for Silver the Silly Sorcerer? Were you magically inspired? There was a little bit of magic involved. It began with a case of the dreaded writer’s block. Then one day I found this old story writing computer program. In the program you could mix up three parts of a sentence that were computer generated to create an opening line. I chose, ‘the sorcerer was stuck in a pile of muddy muck.’ It all went from there with the writer’s block magically disappearing as the story evolved. 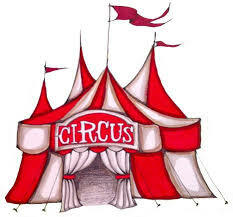 Q What is your favourite magic trick, most memorable illusion or circus act? I loved all magic when I was a kid. I remember I was so excited when I was given a magic box as a present. My favourite trick was the one where the seemingly never-ending magical scarf was pulled out of the magician’s hat – simple but fun. That’s probably why the scarf trick makes an appearance in my story. Q Kids love quirky characters. What inspired your character choice in this book? From my opening line I figured that this sorcerer must be pretty silly to end up stuck in the mud, which is really how Silver came to life. When I was thinking about how he could get out of the mud Slither the Snake just magically appeared to save the day. Q Slither, Silver’s pet snake, is a useful and faithful companion. Is he based on any previous pets you had as a kid or perhaps any that you now have? Gosh, no, I had really regular pets growing up– dogs, cats, birds, rabbits, but there was never a moment in my childhood where I was without one, which shows what an important role pets have played in my life. My eldest daughter is also crazy about reptiles, and now has her own pet blue-tongue lizard, so I’ve learned a great deal about snakes (but not the magical kind). Q I found Silver a real hoot to read. Was it as much fun to write? Does writing humorously come naturally to you or is it a conscious thing you have work on to include in your writing? Thanks! It was heaps of fun to write. I guess that’s probably why my kids’ stories have humour injected into them – it’s enjoyable to write it. 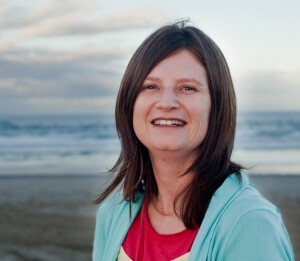 I think the humour just comes as I write – I certainly don’t plan it out by thinking, ‘Is this funny?’ or ‘How could I make kids laugh in this scene?’ That said, I think the subject matter has to lend itself to humour for it to work. Q Last year you released your first adult novel, Unloched. How does writing for primary aged children differ from other adult-aged genres you’ve published? Which do you feel more comfortable writing and why? Technically, it’s totally different in terms of language, themes, structure, writing style etc. But to me writing for kids is no different to writing for adults in that it’s always about getting in the head of the character who the story is about. So, in this way, I don’t find one more comfortable than the other to write. If I’m writing about a ten year old boy then I’m in the head of a kid of that age but if I’m writing about a young woman then I’m thinking the way she would think. It’s a bit like role-playing for me – I’m imagining myself in someone else’s shoes, or in someone else’s cloak in the case of Silver. Q A great kids’ story can be read faster than it takes to pull a rabbit out of a hat (unless you are Silver of course). How long does it take you to write them? Does it vary from book to book? Usually it takes me a few months to write a chapter book. It’s more in coming up with the story idea that varies in the time it takes to create a story. Some ideas come to me in minutes – and I can see in my mind straight away what could happen in the story. Others start with a bit of a thought but can take months or longer for me to find out what the story is. Q Tell us what fills your days apart from writing. I have a book exchange where I sell new and second-hand books and where people can swap over the books they no longer read for something new or different. So, my life is completely about books, books and more books. I love it – I get to talk about books when I’m not writing and put any reading down to ‘work.’ Oh, and being a mum keeps me happily busy as well. Q What’s on the draft table for Candice? I’m currently writing a series of futuristic space adventure stories for kids aged 8 and up, the first of which will also be put out with New Frontier next year. The stories follow a group of kids (and a cyborg) who end up solving all kinds of spacey mysteries. Q Just for fun question: If you were a better sorceress than Silver, what one magic trick would you like to perform and why? I would like to master the art of escape, like Houdini. His tricks always fascinated me as a child – I would love to be able to get myself out of any situation like he could. That would be a pretty clever trick to perform, I think. *Note Candice does not actually own a flying broom stick but should the opportunity arise to operate one, I’m sure she would park it sensibly. Silly the Silver Sorcerer is part of the New Frontier Publishing’s Little Rocket Series. Released this month, you can purchase the book here.